"This quilt is for my niece aliyah... who was born less than a week ago! My mom often refers to big events as "life cycle" moments & since making quilts for big moments like this is a favorite thing of mine... 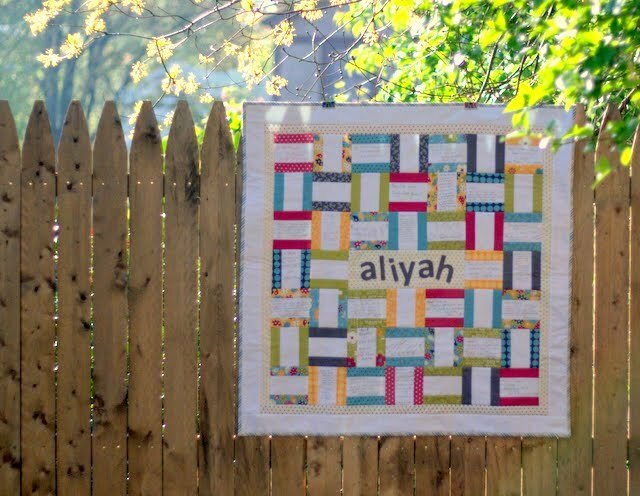 I knew I wanted to make a new quilt as soon as I found out that I had a niece on the way! 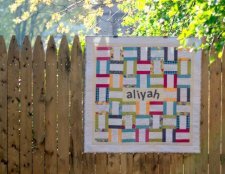 "This quilt would be great for births... weddings... anniversaries... or even holidays like mother's day! 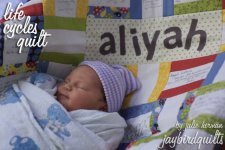 Come check out my blog to see the original quilt I made for my nephew that inspired this quilt!"